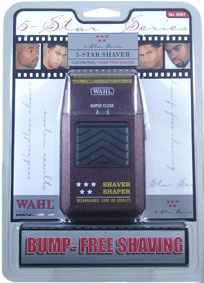 Special Angled Shaver head with gold hypoallergenic goil shaves close, but tot too close. Cord/Cordless Operation - Bump Free Shaving. Replacement Foil Not Included. Note: The Replacement Foil is not Included.